Slate grey, or charcoal grey with striking white quartz veins. Black Pearl Ledge Stone is a Slate Grey, or Charcoal Grey material with striking white quartz veins. 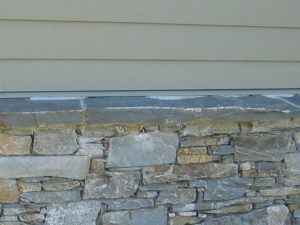 With a classic rustic West Coast ledge, this product has a more block shaped profile than some of our other natural Ledge Stones. It’s especially easy to use with modern or contemporary architectural styles, with tapered ends and an organic feel. It comes in 1" to 6" face heights and 6" to 16” lengths. 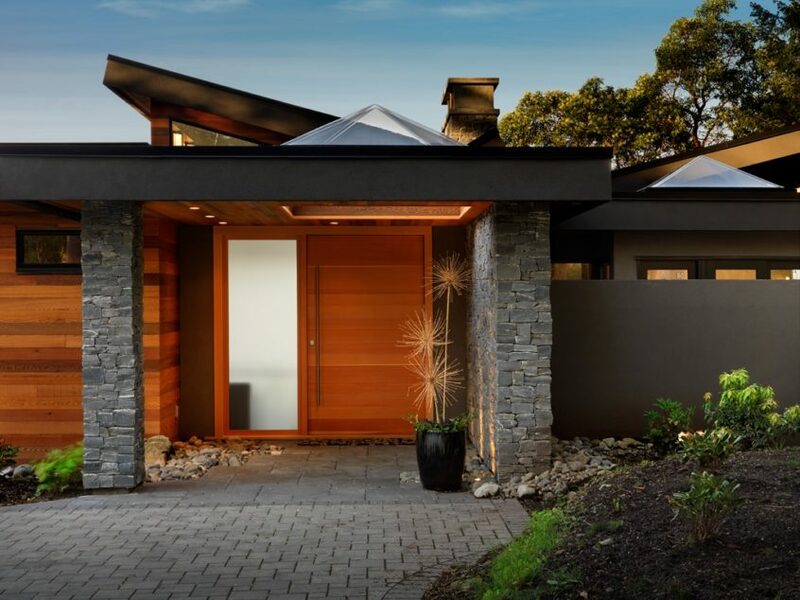 Prized for its softer appearance and color consistency, this stone can be used for sophisticated but subtle treatments both inside or outside the home. 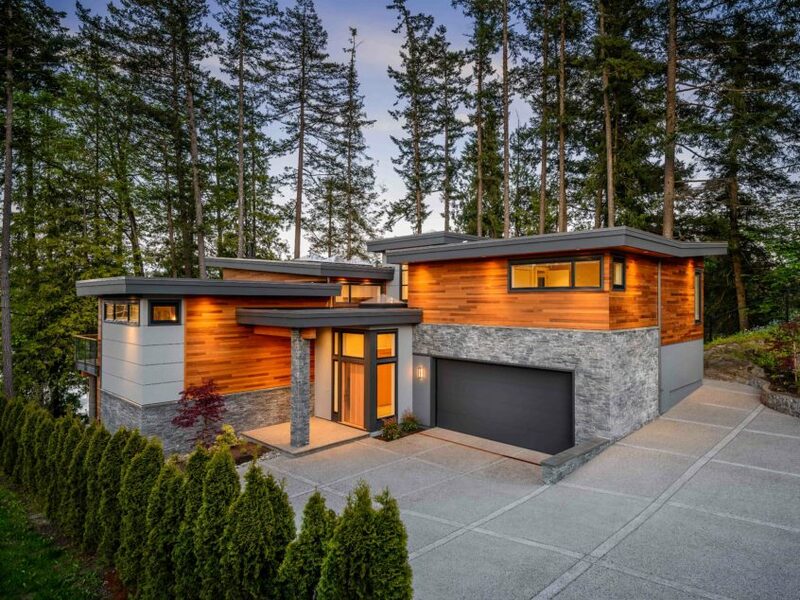 The most popular use for natural Ledge Stone Veneer is on the exterior of a house, where it can be put to good use accentuating angular lines or creating points of focus (around an entrance way, for example, or framing a picture window). Many homeowners choose to add down lighting or other lighting effects to highlight the texture and shadows that Ledge Stone creates. 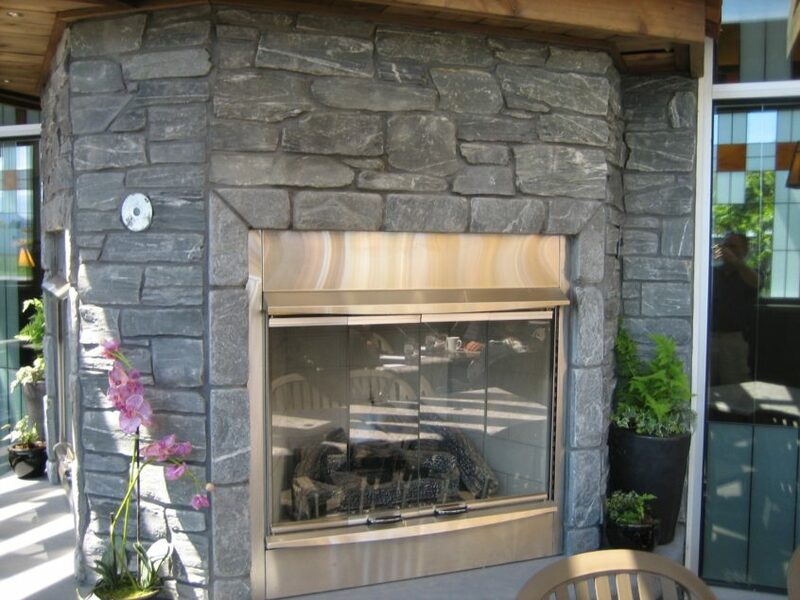 At the back of a house, Ledge Stone Veneer is versatile enough to be a primary material for patios, pillars, fireplaces, retaining walls and other hardscaping upgrades. Indoors, Black Pearl Ledge Stone Veneer makes for a dramatic bathroom treatment. Use it for a feature wall or in a shower enclosure to create an organic, spa-like atmosphere. Just be sure that the stone is properly sealed following installation as moisture damage can occur with daily use. Or consider using it in a lower traffic guest bath or powder room. The beautiful texture of this product means that a little will go a long way. Other interior treatments include feature walls, fireplace surrounds, backsplashes in kitchens or bathrooms. 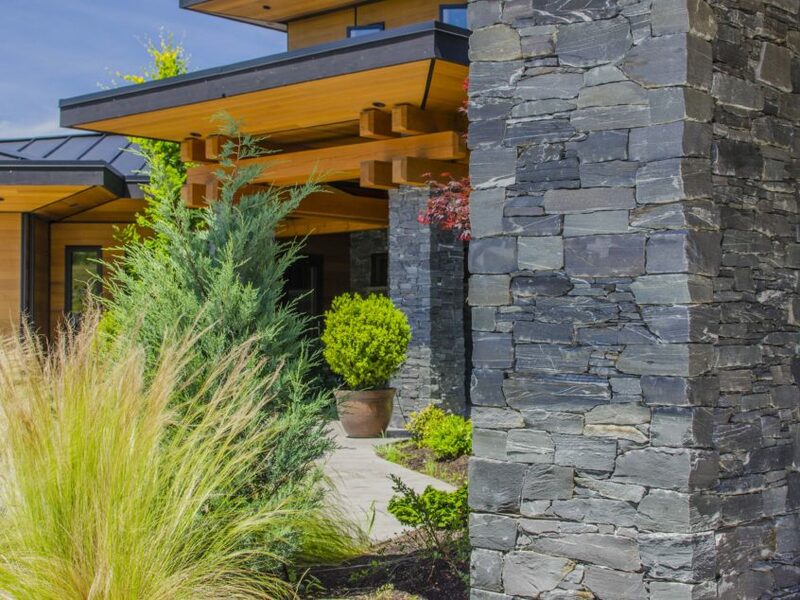 With its soft, natural profile, Black Pearl Ledge Stone Veneer is a great choice for anyone who craves the beauty of natural stone without the overwhelming rusticity that some profiles convey. This is a contemporary product with timeless appeal.